I am an avid traveller and I love to travel as much as I love to dress up. Actually, one of the reasons I love to travel is that it’s an added opportunity to dress up and take outfit pictures for my blog: #BloggersLife. Though I have travelled extensively in India, I always yearn for international trips. Reasons being I love to learn about the culture, traditions, and lifestyles of people in different countries. I love to observe how people from different countries act and react vis-a-vis those in my country. One place that left a mark on me and never fails to disappoint is Dubai. Yup...I know, people would have expected me to talk about America or Maldives or any European country. However, my most favourite place till date remains to be Dubai. You ask why? 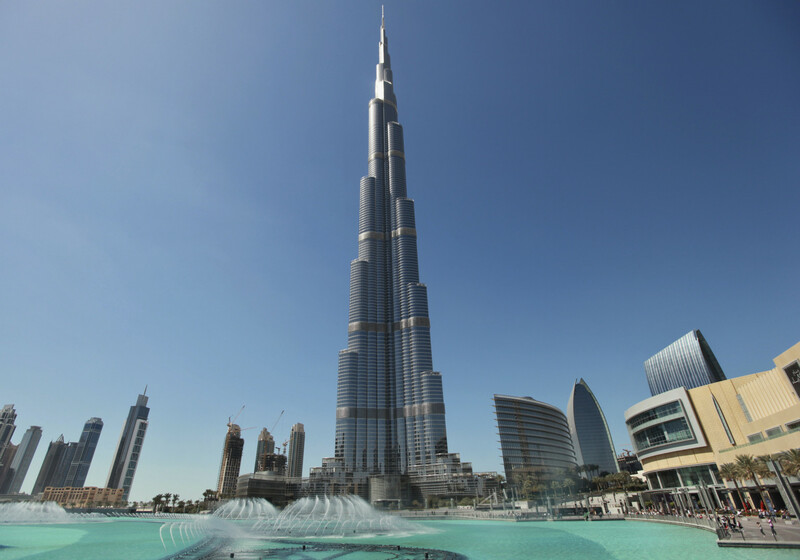 Read below to know why..
Burj Khalifa: The tallest building in the world, I had to see it once to believe it. And what a magnificent structure it is. Tall, beautiful and proud. The view from the top of the Burj Khalifa is something you just can’t afford to miss for anything in this world. Grand Mosque in Abu Dhabi: The largest mosque in UAE and one of the magnificent structures in the world, the Grand Mosque is an architectural delight. Beautifully carved in marble and adorned with huge chandeliers that cost millions of dollars, the Grand Mosque is simply breath taking. However, the best part of the place is not its grandiose or artistic structure. It is the peace of mind you experience here once you sit down on its carpeted floor and close your eyes. I have felt utmost peace here. And, hey, don't forget to drape a burqa if you get an opportunity. I really loved walking around in the mosque in a traditional burqa. It was quite an experience; I felt so beautiful and graceful. Burj Al Arab: I have been collecting souvenirs of this place years before I actually visited it. The seven star hotel that resembles a billowing sale is nothing short of magnificent. And it also happens to be the only 7-star hotel in the world that stands 321 m high. Jumeirah Beach: How could you not see that coming from a sea lover? I have confessed about my love for beach a zillion times on the blog, and if you thought you see crystal clear waters only in Maldives, you have to visit this place to bust that myth. Shopping: Duh...! Dubai is a shopper’s paradise. 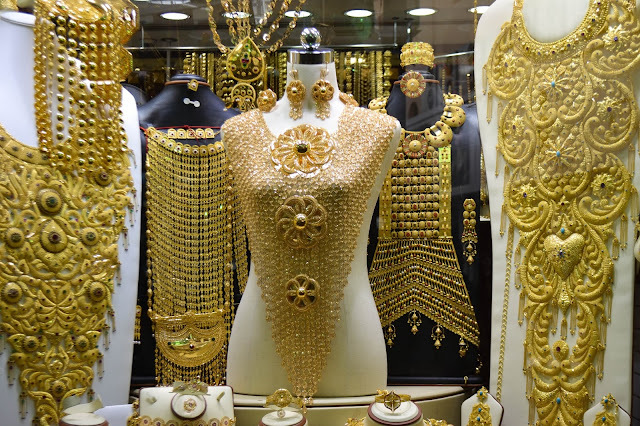 From the Gold souk to the extravagant malls, you can buy some of the finest artifacts, clothes and jewellery here in Dubai and not once will you feel that the stuff on display are overpriced. That's why I love shopping in Dubai. People: While there are many more attractions in Dubai like the Desert Safari, Wild Wadi Water Park, Palm Islands, etc., the one thing that left a mark on me on my Dubai trip was the people. Not once on my holiday did I feel like a foreigner in this country. I was treated with utmost love, respect, and warmth. I felt like I was roaming on the streets of my own country and the people were welcoming to the T. It felt like a home away from home, and I can't stop myself from revisiting this place. That’s why I always recommend Dubai to all my friends and readers as a must-visit place at least once in their life. While Dubai is just a three-hour air journey from India, picking the right airlines can enhance your Dubai experience a little more. And that's why I would personally recommend the Etihad Airways, because they offer impeccable service, yummy food on flight, and is quite affordable. So what are you waiting for? Book your flights today and visit the mythical and magical land of sands, camels and gold to weave your travel story with utmost love. Oh my god...the gold hurts my eyes! I would love to go to Dubai someday....looks great fun from your pictures! Dubai is one of my favorite destinations too! The Grand Mosque looks beautiful indeed!!! I my experience there are some best place to visit in Dubai.